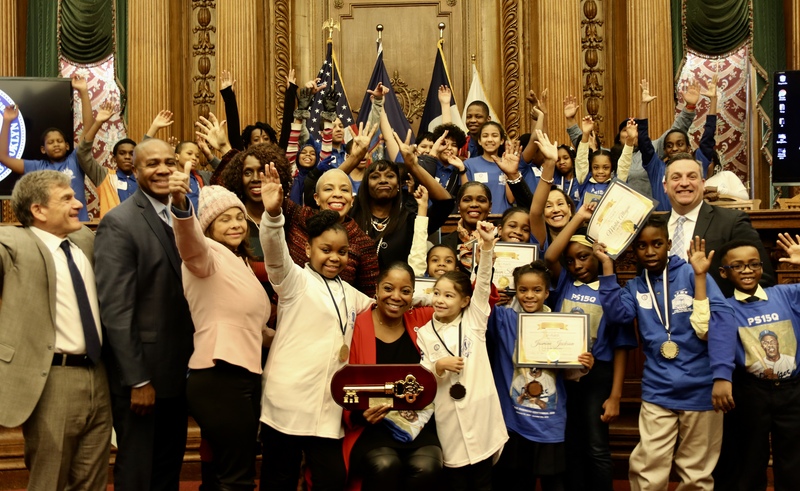 BROOKLYN HEIGHTS – To honor baseball legend Jackie Robinson on what would’ve been his 100th birthday, his family was presented the posthumous “Key to Brooklyn” award yesterday afternoon. 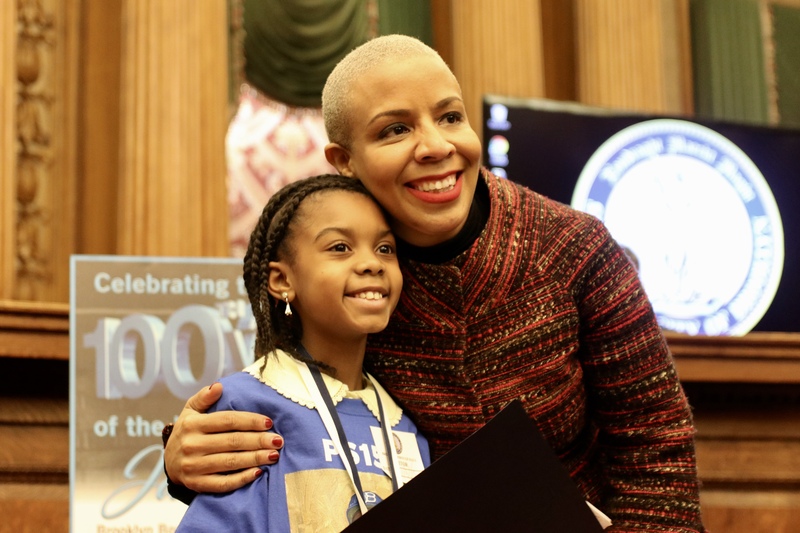 Though Borough President Eric Adams was not able to make the event – he was stuck in the airport due to inclement weather – NYC Council Majority Leader Laurie Cumbo was there to hype up the young students from the Jackie Robinson Schools in Crown Heights and Queens. Jackie Robinson was born in 1919 and was the first Black man to play MLB for the Brooklyn Dodgers. He was an exceptional player, playing for ten years, helping the Dodgers win the World Series championship in 1955, and being inducted into the Baseball Hall of Fame in 1962. 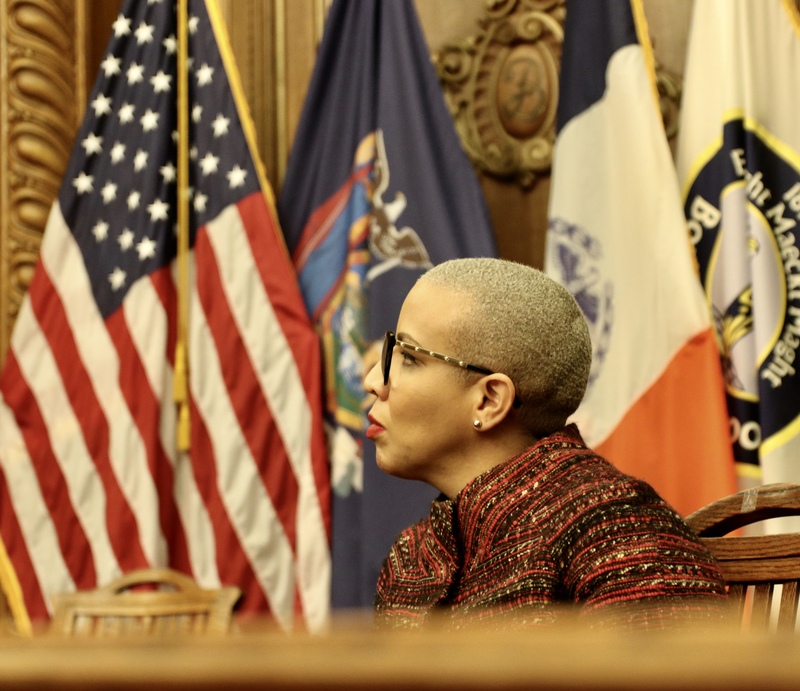 According to Cumbo, Jackie Robinson inspired people in all of Brooklyn. Della Britton Baeza, the CEO of the Jackie Robinson Foundation, says the baseball legend’s 100th birthday will be celebrated all throughout the year. And on December of 2019, the Jackie Robinson Museum will open in SoHo, Manhattan. She also spoke kind words about Sonya Pankey, Jackie Robinson’s granddaughter. His wife, Rachel Robinson, couldn’t be at the event, though she would’ve loved to, Baeza added. 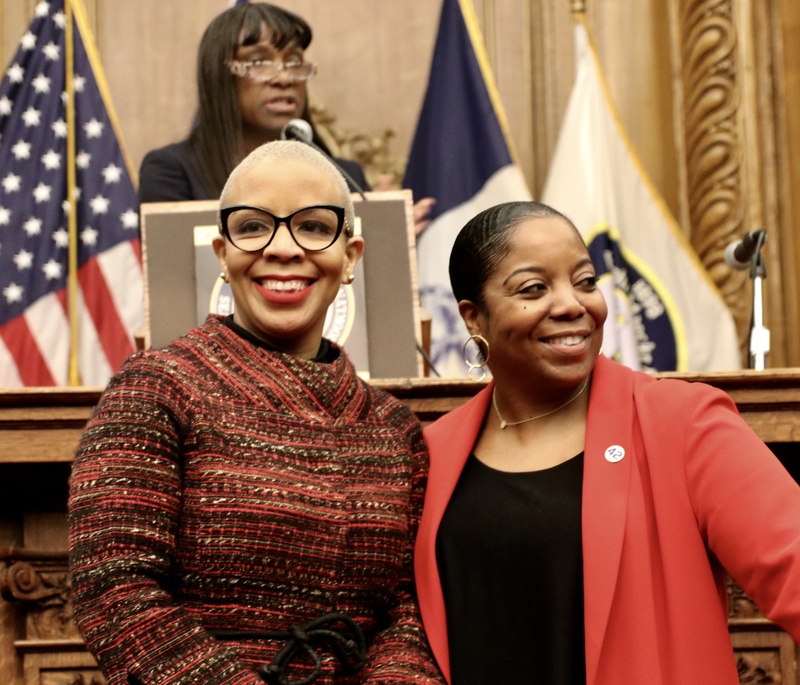 “[Sonya] personifies the grace, the intelligence, and just the sheer grit of her grandmother, Rachel Robinson,” Baeza said. Every year, the Foundation holds essay contests. Three students read aloud their work on Jackie Robinson and what he meant to them. 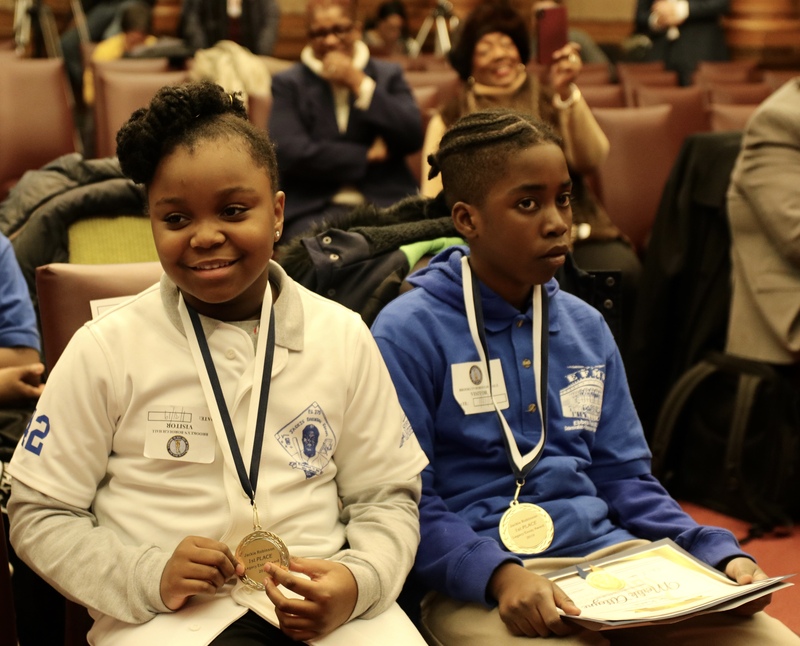 Students from PS 15 Jackie Robinson in Springfield Gardens and PS 375 Jackie Robinson School in Crown Heights received certificates and medals for their essays. They were also rewarded with pizza at the end of the event. 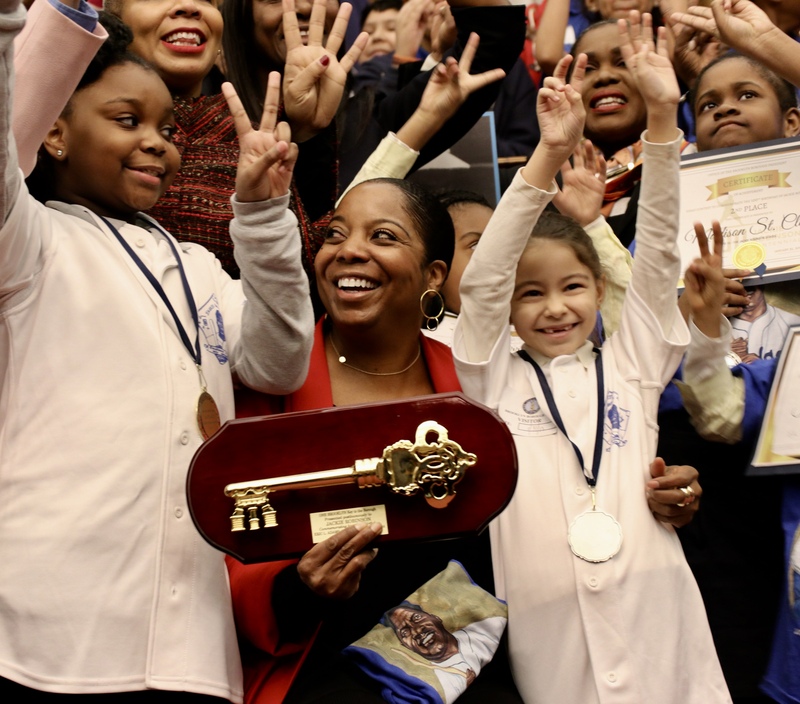 Jackie Robinson’s granddaughter took the “Key to Brooklyn” handed by Cumbo and said she felt very humbled and proud.